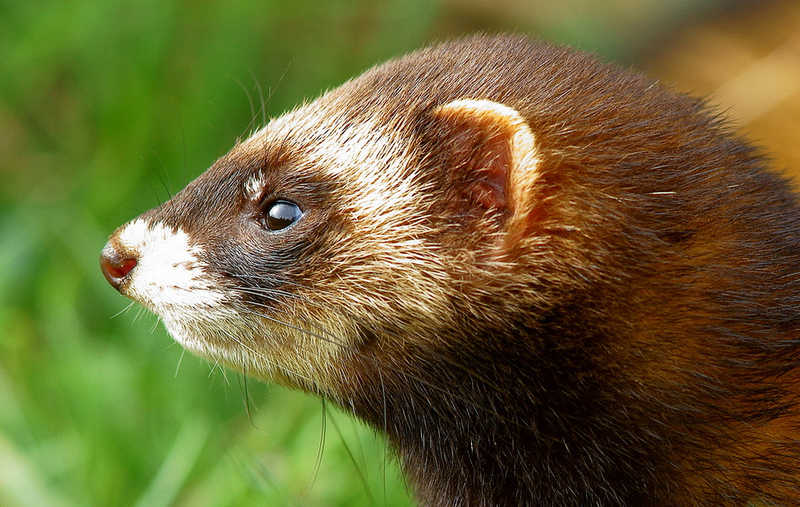 There are 10 different species of polecats. Are related to ferrets, weasels, otters and badgers. Live in scrub land and wooded areas. Have poor eyesight, but have excellent hearing. Eats voles, rabbits, frogs, amphibians, carrion, eggs and small rodents . Main predators are bobcats, coyotes, owls and dogs.